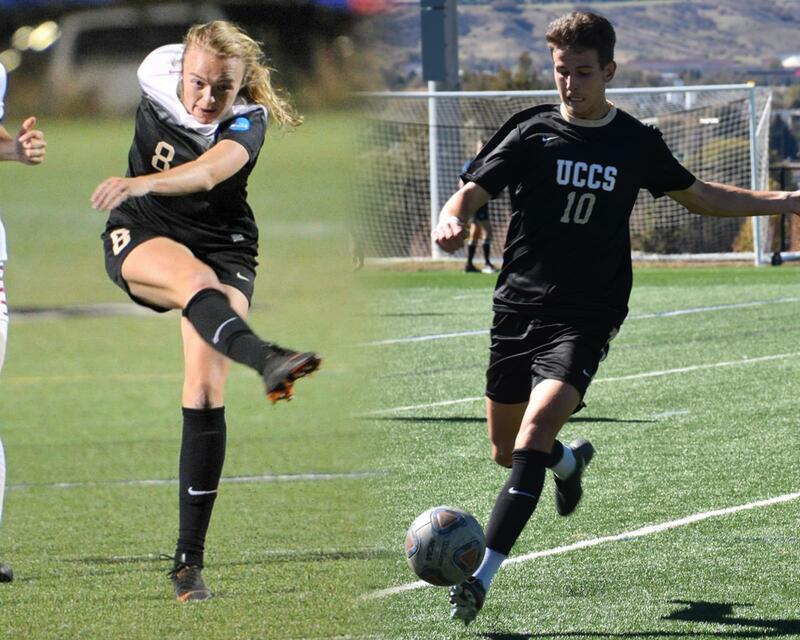 Anna Gregg of women’s soccer and Alex VonHolle of men’s soccer added to their All-America accolades with recognition as Google Cloud Academic All-Americans. The pair were selected by members of the College Sports Information Directors of America. Gregg is the first Academic All-American in women’s soccer history. VonHolle is the third for men’s soccer and the first since 2014. Ten student-athletes among all teams have earned Academic All-America recognition since the first in 2005. Gregg maintained a 3.9 grade point average in health sciences and was the Rocky Mountain Athletic Conference Academic Player of the Year. Her academic performance matched her athletic performance with 15 goals, five assists and 35 points for the top scoring offense in the RMAC and the region. She was also a First Team All-American by the Division II Conference Commissioners Association and the United Soccer Coaches. VonHolle recorded a 3.76 GPA in business. He set new program records with nine assists and 37 points and ranked second in the conference with 14 goals. VonHolle was a member of the RMAC All-Academic First Team and was a D2CCA Second Team All-American. He was also a member of the D2CCA All-South Central Region and the All-RMAC First Team. In order to be considered for the Academic All-America squads, a student-athlete must carry a 3.3 or higher GPA as a sophomore or above and be a starter or significant contributor to their team. The nominee must also be a member of the Academic All-District First Team.